I arrived in 1980 in the US and started teaching & producing instructors. Many people receive their certificates and I never see them again for many reasons. The problem is I don't know how much quality and personality of that person continues to fit in with the standards of my own judgements of what an Instructor carrying this art should have. I just hope that they continue to spread the arts as good people and of course hoping they still have good quality in the way they move and see things in Mande Muda. Many of them are still sponsoring my mission, because without those people I wouldn't be able to spread the arts as I am responsible to do. I believe that in life people always need other people. And when it comes to Martial Arts connections and respect are on the top of my list. Sometimes I have to say goodbye or tell them not to mention or use my name or Mande Muda for their own purpose. They forget that I'm also human, and have feelings. And that I am an Indonesian guy trying to survive in a foreign/Western country who needs support and sponsoring ( also, to know that they are doing the right things in the right ways as) in order to share the art with those who love Pencak Silat and want it to continue to grow. My cultural background and differences also make it difficult to deal with those who are not knowledgeable of how to communicate their wishes or themselves to me. I have been learning the differences in culture and try my best to understand mannerisms, and in general the way people deal with one another within their own culture. Also, there are some things that should not have to be said, I guess you would call those the unspoken boundaries, expectations, protocol and respect for each other. Unfortunately, I found that I have , more and more, had to outline these boundaries and expectations upfront so that there are no misunderstandings later. Live and Learn. I have to say that all those involved with Mande Muda, from the host who has sponsored Mande Muda seminars to the Instructors, both having strong connections to me as a person and to the art, those are the ones responsible for the continued growth of the art in their areas and countries. These are my right hands, working hard and doing their best to promote, expose and share the art for the sake of the art, giving credit where credit is due. These are the people who are most responsible for helping Mande Muda stay strong outside of Indonesia; Special Thanks to all these people listed below, although they are not named here, their support is very important, and appreciated by me. Without them Mande Muda would not be growing the way it is today. Certified Instructors who have a current License. There is nothing wrong for you to learn from the someone who has an Instructors Certificate. Those instructors had been chosen by me in the past, but are not involved with the new organizational efforts or familiar with any of the new material in Mande Muda, since they became certified, as you know this art is growing so fast with the material and each years material can be so different from the previous and therefore not having that exposure or knowledge means that you can not be well rounded in the art to attain the level of understanding I expect of an advanced instructor. I recommend that you learn from a Licensed instructor,. These are the instructors who continue to be active with me , learning the most recent material and follow my directions and strongly sponsor my mission. That is why I will show only those those instructors names on this Website. ( Most of these Instructors who are Licensed also have Titles, see more about the titles below). Having a title is really important in Mande Muda. That means that they are learning step by step with each level with a great deal of material that allows them the opportunity to develop themselves to the most advanced levels of the art. 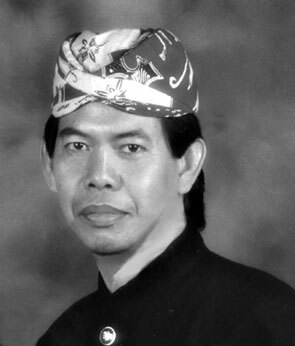 If you are looking for the highest level Instructor in Mande Muda to train with, you should seek a Licensed Jagabaya Instructor.